Perhaps it was just who I was meeting, but for a country so focused on innovation and startups the lack of venture capitalists was noticeable. Given the interesting things going on in the engineering labs I visited and the startups I met, one would have thought the place would have been crawling with VC’s fighting over deals. Instead it felt like the government – through CORFO – was doing most of the risk capital investing. Given that great VC’s are much, much more than just a bag of money, this means that startups lack experienced board members with practical experience. 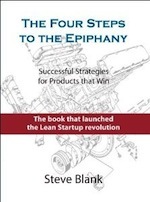 There seemed to be very few who knew how to coach entrepreneurs and to build companies. Finally, it wasn’t clear if everyone was on the same page; that for a Chilean startup to scale it was going to have to reach past Chile and go global. There seemed to be few tools, techniques and strategies to do so. Interesting how the symptoms you describe are quite similar to what Finland has or has had, even though Finland might be quite a few steps ahead. I mean interesting in the sense the Chile and Finland are about as far away from each other as possible! I was happily surprised to find your email in my inbox today. I read it all and could not agree with you more. I hope that my earlier comm to you contributed a bit to openning the big picture. I think that your potential contribution to transforming the entreprenerial landscape in Chile, particularly with regards to technological innovation and academic R&D tied to industry is huge. I look forward to seeing you in action here in Chile, coupled with the many interested parties you have already encounter in your trip. Univ. Catolica and many like me are eager to learn more from you and to participate in future activities. May fate bring you much success and happiness this 2011 and may Chile be a landmark on this year´s agenda for you. I beleive that Chile can be similar to Finland Israel Singapur just only for the dimension…too many are the differences among the origin and culture of these countries. I think that latin economies like the south and central american, and Spain and Italy have their peculiarities…the religion constraints are surely the top . Cath religion is not so conversant with science and research….and the failure problem ( “one is forever”) is maybe linked also to it. What is good for Chile today, is a serious government, after decades of troubles, that can help to turn the page quickly. The agreement with Stanford UNi is for sure a great signal to reach the goal…So I do think that if they ‘ll follow your advice , Chile could for sure become a leader , “making a difference” not only at a latinamerican level. Very interesting. I have a friend who is now selling software throughout Latin and South America – who says that Chile is by far and away the best place for him to do business. 1. Can you form and fund the companies in the U.S. with a Chilean sub as the primary business so that you can avail yourselves of U.S. laws? 2. Are those your own pictures or stock photos? Beautiful place. Question 1 is above my pay grade. I don’t know. Question 2 is yes, they’re my pictures. 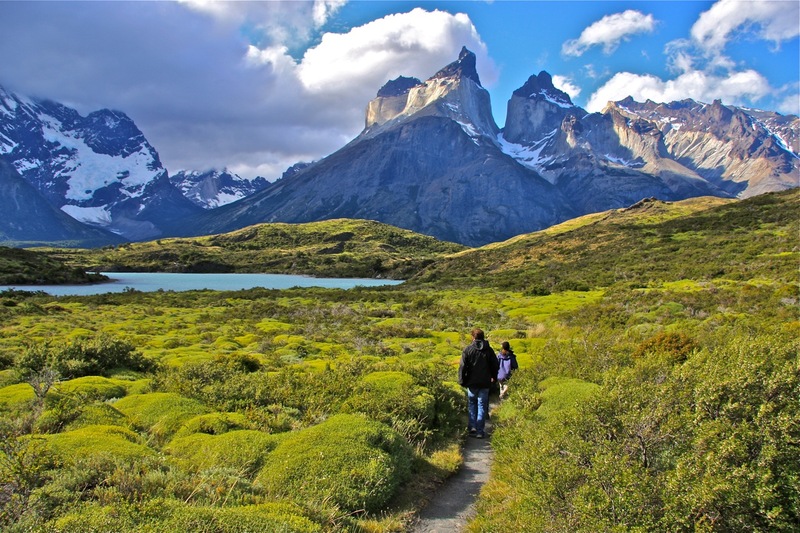 Taken in Torres del Paine national park in Patagonia. Using another “emerging economy”, i.e., Vermont, I see more or less the same key themes. However, the challenge seems to be how to either educate or shake-up those who claim to “get it” but are slowing down or obstructing key components needed, especially viz. University involvement and education. Interesting analysis! Maybe I’m overgeneralizing, but a lot of these points struck me as familiar from my experience having moved from SF to Belgium recently. There’s a lot of innovation-related stuff going on here, but much of it seems to focus on spinning out university research or encouraging corporate R&D. There’s a decent amount of startup activity, but investor activity seems to lag entrepreneurship. I’ve heard the same is true across most of Europe. So perhaps some of what you’re seeing in Chile is indicative of earlier stages in the innovation lifecycle of countries in general? It seems the human capital piece – people who have been there, done that, either as entrepreneurs or investors – is the hardest one to get in place. Great article. Reflects the view that many of us, the chilean undergraduates students, has on the issues of entrepreneurship and it’s promotion. I’ll just may add that latinamerican societies has a serious problem of conflicts of interests, specially when many markets are saturated. But Chile has the enough stability to go a step forward on entrepreneurship, just solving the issues you pointed out. I do believe in the potencial of our fellow neighbors in Chile (well, actually they are not really neighbors since there are no borders between Chile and Brazil, but it’s still close enough!) regarding innovation and startups. But my best bet is that the next Silicon Valley in South America will be in Brazil 🙂 Ok, I’m Brazilian, but even though I expect Chile to be well developed startup hub, if I were to make a bet (or to invest), I’d do it in Brazil! Our startup ecosystem is far from being as developed as it is in USA, but I think we are at least a few steps ahead of the other South America countries. Seed money is becoming a reality here, we already have a case of a big exit (Buscape U$ 300 million sale), and the startup community is becoming more active every day. Funds are loaded and events focused on startups are poping out everywhere. Maybe you will come down to Brazil one day! It would be nice to attend to one of you lectures. – Worldwide teachers, entrepreneurs, angels and VC’s are welcomed here. – As you mentioned, knowledge or definitions (and policies) about small scale startups, scalable startups, corporate spinoffs. Not to mention type of market, new market, resegmented and existing markets. CORFO (Govt VC) seems to recognize just new markets as a “innovation”. – As Tina Seelig mentioned in her example “not to get obsessed on 5 dollars exercise” which means not to get fixed in natural resources economy as a constraint. This administration just quit cluster’s (food, mining tourism) policies. Better let´s get 100 flowers blossom. – Uneven distribution between Santiago and “regiones” about entrepreneurs requirements and sophistication. – SERIOUS lack of english skilled entrepreneur’s population (which makes a huge difference with Norway, Israel, Singapur, etc. entrepreneurs on examples you mentioned). 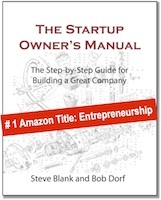 Every 100 books or blogs about entrepreneurship just 1 will be translated some day to spanish. 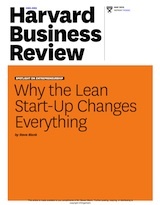 And almost no one are devouring entrepreneurial literature as required. – Richest families and economic groups as Luksic, Matte, Angelini may and big (chilean scale) “empresarios” maybe have something to say and play a role on the VC or financing area or supporting Universities to shift from corporate education as MBA’s to Entrepreneurial education. Very grateful to have your books signed and to have the opportunity to talk to you. Hope to see you soon in Chile. I agree with many of the things that need work. What is a shame though, is that you don’t need to be an expert to learn about these, and our authorities still need more proof of it. There are practically no VC’s, and it should grow enough to be considered as a real market. Many of the funding sources (CORFO, some startup incubators) are managed by people with experience on startups related only to natural resources, and they usually won’t evaluate a project as a good one on manufacturing/services industries mainly because they don’t understand them. Even though there is funding for tech/services companies, that’s just starting to change now, because on the technical and business knowledge to evaluate global tech opportunities, our people is like, 5 years behind the whole world. It’s like they won’t fund anything unless is a “proven breakthrough”. As you wrote, there is little knowledge too about the different types of entrepreneurship, and the tend to confuse “entrepreneurs”, “innovators” and “administrators”, regarding everything as the same thing. From my experience, I think there is enough talent and passion for almost everything, but the cultural incentives are all stacked against being an entrepreneur, and worse, to commit to be part of a team. Many entrepreneurs who have been on bootstrapping mode for almost five years believe they can make it on their own, that they can scale without technical partnerships or business partnerships because they have a really hard time trusting others, and they think that if they started the company, they deserve all the credit that may come in the future. That is, even entrepreneurs don’t accept failure between them. The government is currently doing some stuff, but it’s all unconnected and with focus on very short term results that they can show off, instead of long term, well thought policies regarding entrepreneurship. Perhaps, the first step is to be true to ourselves, admit that we have talked for years about this and that no serious progress has been made (not considering outliers examples, of course) and, for once, to talk about a commitment to work on long term policies. Every country is trying to copy the silicon valley mode. I commend the people in Chile who invited you down. The expertise and, especially, the straight talk you provide are invaluable (if they listen to you). I moved down to Colombia and the investors here definitely need to learn how to be investors. In general, I believe the Southern Cone is the furthest along in Latin America with Brazil most definitely leading the way (I agree with Joao). Steve – thanks for the post. It’s great to see a country taking the leap like this with a concerted effort. What seems to be missing is a success story. It’s my belief that if 1 start-up makes it big (or just becomes famous for something) based out of Chile, then the rest of the community wil follow. Another way is to attract existing tech companies there and start to build the community. Great post! I am a business undergraduate in the Catholic University and am really excited about the new program with stanford! It allowed me to meet some really talented technical guys to start building a team for my startup! Actually can’t wait to take “technological startups” next semester. All what has been said is true, but I personally think Chile has one big advantage. Being relatively small and tightly connected, even as a student I can have direct access to major industry owners and management. That really helps the “customer development” process we’re following! Anyway, great to know that Chile is willing to change in this aspect and that people around the world are helping to make it happen! Chile is good in starting an entrepreneurial way of thinking in the South American Area; however, it still needs progress on its cultural level. Coming from South America myself, I can say that the culture is not one centered in hard work, but instant gratification. The entrepreneurial school is a good start, but it is ultimately the people (rich and poor) who have to change. Beautiful post, beautiful presentation, beautiful picture. Being born in Spain, the culture of not accepting failure is real. Now I think that it is USA, and UK(common wealth countries) the exception. The rest of the world being the rule with regards the concept of bankruptcy and this has a lot to do with Adam Smith and partners and the free market economy influence they had. The concept that you can start from zero once you failed on common wealth countries is the remarkable fact here, limited responsibility is the novel concept, maybe counter intuitive. Europe is split segmented in multiple countries, more than 8 mayor languages, each with their specific culture. Asia is even more segmented. In contrast, once eradicating the indigenous people, USA was created new, fresh and new. A big country full of not harvested resources(like Europe and Asia) for a small population with only one language and culture with the British economic system. Catholic church(it is easier for a Camel to go…) like Muslim culture(interest is forbidden) try punish lending and this is something that is deeply ingrained on South American people. 1-You ask the government-bank for money. 2-The bank gives you the money at low interest but you need to back the loan. 3-If you fail you lose the back assets. 4-If the back assets don’t cover the debt you indebt the difference plus interest. 5-If the interest plus principal grows bigger than your salary everything you make is for the bank forever (you became a slave). Excellent article. I find many similarities to Spain in creating a Silicon Valley and on the culture and language. In Spain there is the Technological Park of Andalusia (PTA) created around the University of Malaga and many others Tech Parks surrounding Madrid. But the problem is that most politicians want a “tech park” of their own, so their building far too many, too small.. which doesn’t make any sense and requires to put too much spread efforts in infrastructure. I took the liberty of translating this post on http://chilecomvalley.com. Dear Steve.. thanks for your visit, your generosity sharing your powerful insights, and the great post !.. I look forward seeing you and your wife again in Chile.. in the meantime, we have a lot of work to do !! Hi Steve, what a treat your presentation was for Chile, I enjoyed it very much here in London, where we are also trying to replicate Silicon Valley. I am a digital marketing Mentor/entrepreneur (non-academic/accountant!) using my biz experience to help start ups. I am trying to add value and gain some too. I have also used Biz Model Generation with some clients here, and read your blog previously to swot up on agile development. 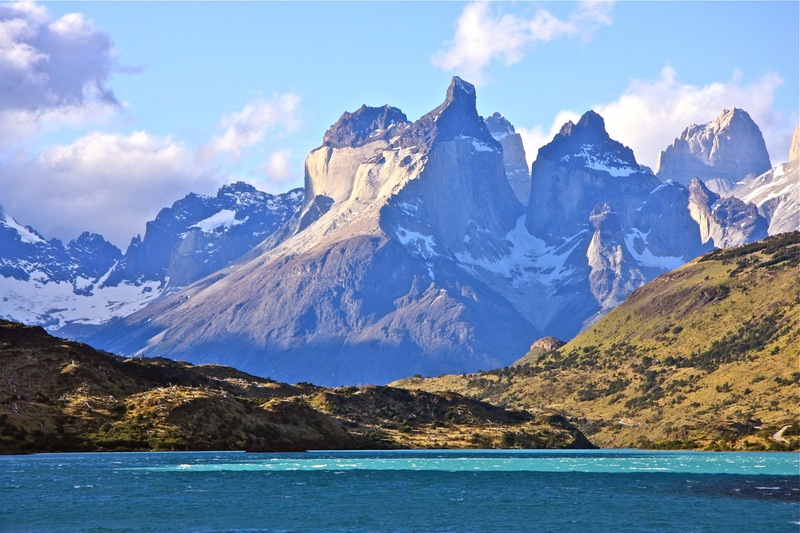 I had already bookmarked Chile for a possible visit at the end of 2011. Is there an obvious event to attend? I repeat what I stated before to Steve in my first message and in my question to him at his conference at PUC. In Chile unfortunately there is no culture of Venture Capital and the banks and business people, as a rule, are not risk takers in the sense of what we have been discussing here (tech innovation entrepreneurship and start-ups). CORFO in Chile is clearly insufficient and extremely regulated and bounded by very tight/strict risk-minimizing guidelines that leave out many projects that are worthwhile and promising simply because they do not conform to the Innova CORFO norms. Universities on the other hand, have a very tough time getting ideas across and the financial support to funnel initiatives aimed in this direction, because big private enterprises that have the money to invest in Innovation and VC Entrepreneurship projects, are not willing to fund anything that doesn’t have a risk-free sure deal for them in terms of ROI. Banks need not be mentioned. We all know the banking culture in Chile. The challenge for Steve is exactly that: how to bring parties closer and teach them how is done elsewhere and how to go about doing it. We just don’t have the CULTURE of VC entrepreneurship in the way there is in the US. How to bridge that chasm/rift between Universtity-Government Agencies-Private Enterprise to foster VC projects is what everybody wants Steve to help with. He was invited as a Guru in the field and someone who can articulate and bring about change in this realm in Chile. I completely disagree with Trend Guradian, I don’t think he is from Chile and certainly his view do not reflect the culture and attitudes of the Chilean people in regards to work, sacrifice and entrepreneurship. The huge PYME industry with all its history of perils, successes and failures here is but one testimony to the contrary of Guradian’s assessment. Thank you very, very much for such a great article. What to use as a magnet? We have about 30% of the mediterranean climate of the southern hemisphere, and probably the best water in the world, and that means food. Speciality foods, made with clean energy. Of course there are other iron fillings, but on my view, this is the key. Very interesting post, Steve! I fully agree that Chile wneeds to find “themes” in which it is competitively advantaged and focus on them, if it wants to become a magnet for entrepreneurs and world class researchers. As you suggest, the opportunities abound: alternative energies (especially solar and geothermal), activities related to our resource intensive industries (mining, etc. ), and so on. A bit of good news in that respect: Fraunhofer (Europe’s largest applied R&D institution) just set up its Latin American branch in Chile. Thanks for the kind words on the Innovation Forum. BTW, our on-line self-diagnostic tool for entrepreneurs interested in assessing their financlal risks is now available in english at http://bit.ly/gxRyNA. You have many insightful points Steve. I am very optimistic about the business and entrepreneur potential of not only Chile, but the rest of Latin America. It is such a fascinating area of this world, with a rich history, and I believe a whole lot of untapped opportunities await. I hope to one day be able to incorporate my love of baseball, the spanish language, and Latin America into a profession. I have read many interesting comments, and I think Chile may benefit from examining Australia’s experience with high technology start up companies. During the 1980’s Australia was under a Federal/Commonwealth Labor Government, and they implemented generous business tax incentives, and Federal Grants, to help entrepreneurs start up high technology businesses, in the event they found it difficult to either have Venture Capitalists invest in their company, or they could not attract sufficient VC funding. The company tax rate in Australia is 30%, and the Australian Federal Government offered to reimburse 150% of the company tax each year over five years, as an incentive for the entrepreneurs to become profitable within a five year period, on the provision that they employed people with University or Technical College qualifications. Many companies were started up, but not all succeeded, which is the nature of the business risk under a Capitalist system. One company that succeeded was a company that had the support of the Australian Government funded organisation called the Commonwealth Scientific and Industrial Research Organisation (CSIRO); they either provide consulting services, or enter into partnerships with companies to supply experienced R&D staff. Unfortunately for Australia, the Federal Government terminated the 150% corporate tax incentive more than ten years ago, and since then, there have been few start up companies attempting to establish themselves. With the Global Financial Crisis that hit in 2008/09, there was zero incentive for anyone to attempt a start up in Australia. One lesson to be drawn from the Australian experience, is that the Chilean government needs to be prepared to provide an ongoing commitment towards supporting the starting up of high technology industries for five years. After that if the company cannot make it on its own, then it never will. The funding source and corporate tax incentive must then be cut off, to give another business a chance. A second lesson to be drawn, is that once corporate tax incentives and start up capital is provided, the Chilean Government should be prepared to continue providing these corporate financial incentives for a long time, to allow new businesses, not limited to the high technology field, to evolve into niche markets. An important consideration is that for any start up to be funded, the entrepreneur must provide a realistic business plan, and I would recommend the Chilean Government, VCs or banks interested in corporate loans, should strongly insist on this. The Chilean Government should assess on a regular basis if the new start ups are providing a real ROI, in terms of contributing to the nation’s GDP during the five years, and if required provide assistance such as mentoring to the entrepreneur if the goals/outcomes of the business plan are not being met. The quality of the business plan, may be a way for Chile to avoid the collapse of the dot coms that happened in the USA and Australia back in the 1980’s. I read a few online journals after the stock markets were hit hard with the collapse, mentioning that VCs were giving money to the dot coms, and never bothered to ask to review a business plan before they handed over their money. At the end of the day, a business plan will not guarantee that risk will be eliminated from company operations, but at least the business plan demonstrates how carefully the entrepreneur has thought through their business model, and how they plan to manage corporate profits, to provide for the growth of their business both on the short term and the long term, of course long term business projections are as useful as making predictions as to which technology trends will become profitable ten years from now, but at least this may show the entrepreneur has a long term plan to continue to be in business. Nobody wants fly-by-nighters that take Government money, employs people, then goes out of business five years later and has to lay off everyone. The business plan should also include Quality and Environmental Management plans, to avoid giving Government money to entrepreneurs who supply poor quality goods or services, and may cause serious environmental disasters. For high technology businesses, additional information such as how they plan to comply with International Standards, for example EMI (Electro-Magnetic Interference) standards may be included in the business plan, as this is a cost to a business producing any electronics hardware. The submission of a business plan would also help entrepreneurs who may inadvertently start up a business that someone else has already thought of, and the Government may use this as a guide as to whom to give start up money to, and for the person who was refused, assistance on rethinking their business strategy to enter into a different niche market. An integral part of the business plan may be to include market research, to provide an assessment of the market segments that would benefit from the products or services the entrepreneur’s new business wants to provide. Many companies have gone out of business because they failed to supply goods or services customers want to buy, or at the quality customers expect. I am a student at UCSD studying the Psychology of Emotion and other aspects of Social Psychology such as Risk-taking etc. Your insights on Chile’s cultural non-acceptance of failure really caught my interest! I would love to have the opportunity to research the cultural acceptance of failure in Chile. If you have some time, I would love to hear your insights on the subject and meet with you to discuss some ways that I could contribute to “Chilecon Valley”. Having had a growing interest in Entrepreneurship and Start-Ups after attending both Start-up Weekends in San Diego, this would be the perfect avenue for me to gain expert research experience in Psychology as well as make a difference in Chile. Hope to hear from you soon! Professor Cristóbal García and fellow readers, I saw this article after searching extremely hard to find anything regarding manufacturing within Chile. After visiting Catholic University of Chile I was very impressed with the research programmes and the quality of engineers. That said, I see Chile with so much potential however you hit on attracting key talent to the country and there appears to be many barriers to this and people feel less inclined to jump. For instance, you talk about a lot of expertise and machinery purchased from overseas ……..I totally agree build the expertise and centres of excellence within Chile! The government really needs to increase its investment to help set up and support these companies (Take the DTi in Britain or DARPA commercial equivalent in the US). I feel Chile is similar to Britain and its needs to concentrate on niche areas to perhaps bolster larger economies such as Brazil/USA and not compete/try compete on every level with the US – Britain tried this with their defence and look where they are now! Chile It is a great country and if I never married my wife (Chilean) I would have never found this out! I’m sure many will agree with me on this they’re just waiting for Chile to take off (the last Roman outpost)!